Connect to fellow real estate alumni, become an alumni mentor, or hire an intern or full-time employee. Cornell Real Estate Council: The Real Estate Council is one of the largest university-based networks of real estate professionals in the country. Employers interested in hiring Baker Program students or alumni should contact the career management team. Companies who wish to participate in the School of Hotel Administration’s annual Real Estate Career Day should contact the career management team at ha-hscd@cornell.edu. For speaking and mentoring opportunities with the Baker Program, contact Dustin Jones, Baker Program director. The Baker Program in Real Estate has a well-established track record of attracting the most talented and brilliant real estate minds from around the world. 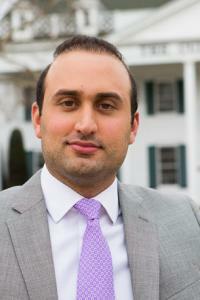 An example of the quality of students that have come to Cornell for real estate is Daniel Kianmahd, a 2010 graduate of the Baker Program. Kianmahd currently serves as the director of acquisitions at MBK Senior Living where he focuses on sourcing acquisitions for the firm and reports directly to the firm’s CEO. Prior to joining MBK Senior Living, Kianmahd was an acquisitions and development associate with Combined Properties where he spent much of his time underwriting potential sites for acquisition and assisting with managing development projects. 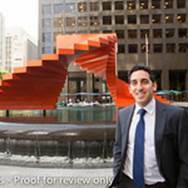 Before joining Combined Properties, Kianmahd was an investment banking analyst with Eastdil Secured/Wells Fargo Securities. Kianmahd recently sat down with the Baker Program and offered some reflections on his time at Cornell, including what brought him to Cornell, how the Baker Program and Cornell helped define his career path, and what it’s like to be a part of one of the largest real estate alumni networks in the world. Daniel, can you explain why you decided to attend Cornell’s Baker Program in Real Estate? I chose the Baker Program in Real Estate mostly because of the program’s two-year structure which allowed me to enroll in classes from a variety of fields, all from schools that are ranked among the best in the country. The wide variety of classes that were available enabled me to explore specific interests within real estate and entrepreneurship. So, how did the Baker Program help to create opportunities for you in pursuing your career path? Cornell gave me the foundation to understand real estate from a variety of different angles. This strong foundation was instrumental in helping me understand how everything comes together — finance, economics, land-use, law, accounting, interest rates, etc. and therefore, allowed me to speak intelligently to practitioners of all kinds. The weekly Distinguished Speaker Series added a layer of practicality to my studies — the stories fused classroom theory to real world experience. The Baker Program was also very instrumental in helping to build my network and develop new relationships that will last my entire career. What have you found to be the most valuable part of your Cornell experience? The professors that I had in my classes were extremely well-versed on the subject matter and were very passionate. The interactions and critical thinking skills that I have taken away from my professors have proven to be extremely valuable in my career. You’re now an alumnus of Cornell and the Baker Program, giving you a spot in one of the largest alumni networks in the world. What do you find to be the best things about being an alumnus of the Baker Program and Cornell? The best benefit of being an alumni of the Baker Program is the strong network that you always have the potential to tap into. Cornell’s expansive real estate network is second to none and provides many opportunities for alumni. The Cornell Real Estate Council has over 1,000 members world-wide. What was the best, most valuable, or enjoyable class that you took at Cornell and why? If I had to pick one, it would be Real Estate Hospitality Finance, which has been extremely valuable to my career. Professor Quan imparted raw knowledge as well as analytical skills that I use almost every day. I highly recommend that current and future students take this course. Now that you have been out in the industry for a while, would you recommend that students focus on a specific real estate discipline or product type? I would say that this depends on the long-term goals of the student. Some people prefer to specialize in a specific discipline of the industry or a specific product type, while others try to be a jack-of-all-trades. Students should know themselves well, especially where their passion lies and the environments in which they are most successful (corporate, entrepreneurial, etc.). What are a few last pieces of advice that you have for current and future students in the Baker Program? I recommend that students read as much as they can about the real estate industry outside of class. It is important to be aware of the latest trends in the industry and to think about how to adapt to the times. I also recommend that students make a concerted effort to constantly develop new friendships within the industry as deep-rooted relationships are essential to a successful and enjoyable career. My last piece of advice for students is to continuously connect the dots between what you are learning in the classroom and from your peers to what is happening out in the real world. Real estate is a constantly evolving industry and the only way to stay ahead of the curve is constantly learn from your past experiences and those of your peers. Harshad Mehta is an excellent example of how the Baker Program in Real Estate’s comprehensive curriculum and resources help students develop into real estate professionals equipped with the strong real estate fundamentals required to pursue any real estate career path. Prior to attending the Baker Program in Real Estate, Mehta obtained a bachelor’s of architecture from the Institute of Environmental Design in India. She quickly learned that she was attracted to the real estate industry and decided to pursue an advanced degree that would equip her with the tools necessary to succeed in the industry. After researching different national programs, she chose Cornell’s Baker Program in Real Estate. After graduating from the Baker Program, Mehta joined JP Morgan’s Investment Banking Division where she was responsible for work related to mortgage-backed securities and other structured financial products. She has also held positions at Houlihan Lokey and Urban American, and is currently with Moody’s Investor Services in New York City. Other features that attracted Mehta to the Program include: a comprehensive two-year curriculum, close ties to industry professionals, and a relatively small cohort size. She explains, “Having the opportunity to spend two years with a class of about 20 people who are passionate about the industry was a great experience. Undoubtedly, you form strong relationships with your peers which are invaluable in the real estate industry.” She was also drawn to the supportive features offered by the Baker Program such as the mentor program, career services, and a close connection to the Cornell Real Estate Council. The mentor program is an initiative aimed at partnering students with industry professionals that will guide them through the internship and job search, and provide advice on any matters relating to the industry. Mehta’s assigned mentor was Mr. C. Bradley Olson, former director of the Baker Program and former president of the Carson Companies, a privately-owned developer, owner, and manager of industrial, R&D, and commercial properties in California and the Southwest. Cornell’s Baker Program in Real Estate encourages students to explore all facets of the real estate industry regardless of their professional background. Many students are attracted to the Baker Program because of this versatility in the academic curriculum and choose Cornell as a means of opening doors into new professional fields. The Baker Program values diversity and therefore also encourages students without real estate backgrounds to apply. The curriculum is designed for students to gain the most comprehensive real estate education but also allows students to select and delve into a particular segment of the industry. Baker Program students develop an area of specialized expertise (their concentration) that will distinguish them in any of the following areas: development, investments, finance and investment banking, consulting, marketing, asset management, and international real estate to name a few. This wide selection opens doors for Baker Program alumni in every facet of the real estate industry across the globe. Julie Romey chose Baker because of the flexibility it permitted to design her own concentration/program and the wide variety of classes that were available. She had been working in real estate for about six years and wanted to do more than get a basic overview of real estate. Most other programs were positioned as an MBA with a few real estate classes that were similar to what she had taken at San Diego State University (SDSU) as a real estate finance major. The most influential part of the program for Romey was the opportunity to become more grounded in the finance part of real estate. When she graduated from SDSU in 1991, Wall Street wasn’t a big factor in real estate. However, that had changed by the time she got to Cornell, and she was able to expand her knowledge significantly. She also found it great to get back to the basics and solidify her understanding of the fundamentals of real estate. A big part of her job today is to make complicated financial transactions easy to understand for her clients (city staff and city councils), who typically do not have a finance background. Her confidence in the fundamentals and complicated financial analyses grew significantly during her time at Cornell. However, her entire experience at Cornell was something she found personally and professionally enriching. In particular, she learned that most of the rest of the country has to remember to include snow-removal expenses in their operating pro formas, which was a new line item for a Southern California native! Alumni of the Baker Program in Real Estate are equipped with the skillset to have a deep and lasting impact on the real estate industry. The Cornell Real Estate Review reached out to a few alumni to reflect on their decision to attend the Baker Program, and how their careers have progressed since graduating. David Shlomi is a prime example of the success attainable for students who are serious about real estate. Like many students pursuing graduate education, Shlomi knew he had a number of options. He researched a number of MBA programs, but knew he was more interested in pursuing a real estate-focused education. While MBA programs covered a variety of topics in the business world, the Baker Program in Real Estate focused exclusively on real estate. Shlomi mentioned, “Many of the courses required by the Baker Program, such as Principle of Real Estate, Real Estate Finance and Investment, and Real Estate Development, proved to be of great value to my career.” After two years of intensive study, he was certain that he had a very good understanding of the real estate industry, which would allow him to seamlessly transition into the next phase of his career. Today, Shlomi is an analyst at CBRE Global Investors, a real estate private equity firm, with specific focus on ground-up development, acquisitions, financing, workouts, and restructuring. He credits the Baker Program for equipping him with the tools needed to succeed in the real estate industry.